The fired Balch Springs, Texas, police officer who shot and killed 15-year-old Jordan Edwards as he attempted to leave a party that got out of hand has been charged with murder. 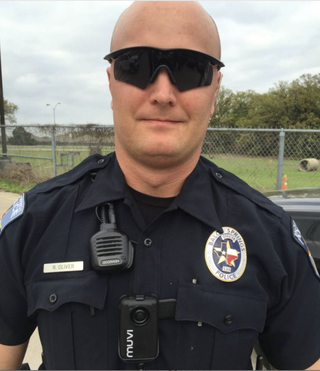 Although a judge signed the murder warrant Friday afternoon, the Dallas Morning News reports that Roy Oliver, the officer in question, has not been arrested yet. As previously reported on The Root, according to attorney S. Lee Merritt, legal counsel for Jordan’s family, the teen was leaving a party Saturday night with friends after hearing gunshots. He was struck by the officer’s bullet through the passenger-side window of the vehicle in which he was traveling. Balch Springs Police Chief Jonathan Haber later retracted his statement about the direction the car was traveling in, which he initially claimed prompted a police officer to open fire with a rifle, fatally shooting Jordan in the head. Oliver was fired Tuesday for the shooting. Haber said that Oliver was fired for violating policies but refused to discuss specifics. According to the Dallas Morning News, Oliver is the second Dallas-area police officer to be charged with murder in the last two years. If convicted, he faces up to life in prison.